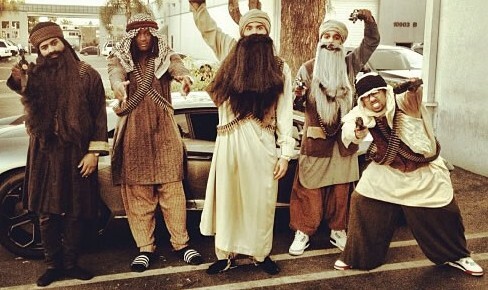 Chris Brown chooses strange costume for Halloween with his friends after posting it on Twitter last Wednesday. 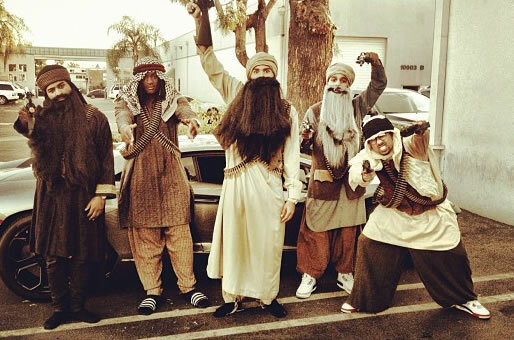 In a photograph, the singer is sporting long beards and turbans and carrying weapons in attempt to look like “terrorists” with some friends. Although it may be stereotypical costume, the RnB singer does not explain the reason behind his Halloween costume other than: “Ain’t nobody F**king wit my clique!!!! #ohb.” Meanwhile, Chris drops some hints that there will be U.G.L.Y video, which features MaadScientist, coming soon for his fans.